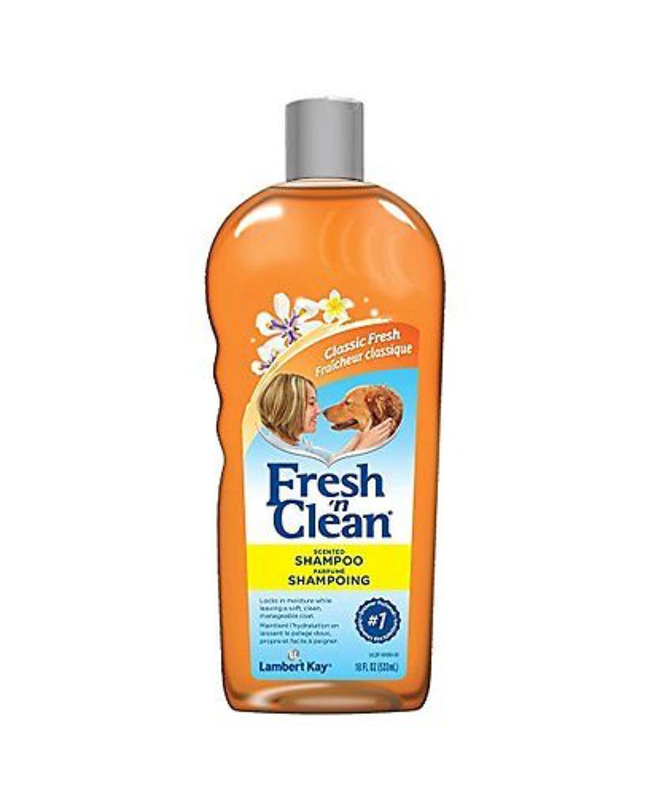 Keep your pup clean and smelling fresh everyday with the PetAg Fresh 'N Clean Scented Dog Shampoo. While natural, soap-free plant-based cleansers wash away dirt and grime, special coat conditioners, vitamin E, and soothing aloe leaf juice coat your dog’s hair fibers, locking in moisture for a tangle-free, manageable coat. Not only will your pup look clean and maintain a healthy, soft coat, but he will smell clean longer, too! The classic fresh scent stays on for up to two weeks, for long-lasting doggie odor-control with every tail wag. Simply work into a luxurious lather to turn bath time into spa time, and enjoy the invigorating, floral scent. Safe for use on dogs and cats. Not recommended for Persian cats. Same amazing shampoo we use in our Fresher and Cleaner Package in an 18 oz ready to use bottle.